Due to Holloway’s recent health issues, ultra-tough prospect Renato Moicano has been tapped as a stand-by replacement after his own opponent fell through. He even had some lighthearted trash talk ready for the champion. I am really happy for this opportunity. I will become champ, be it this time or next. And, Holloway, you are a great champion, but Toronto is freezing! You should stay in Hawaii and take care of your health, man! A last-minute change in opponent wouldn’t bother Max, who found Moicano’s comments funny. Holloway is still focused on Ortega for now, though, and said he plans on making the fight look easy. 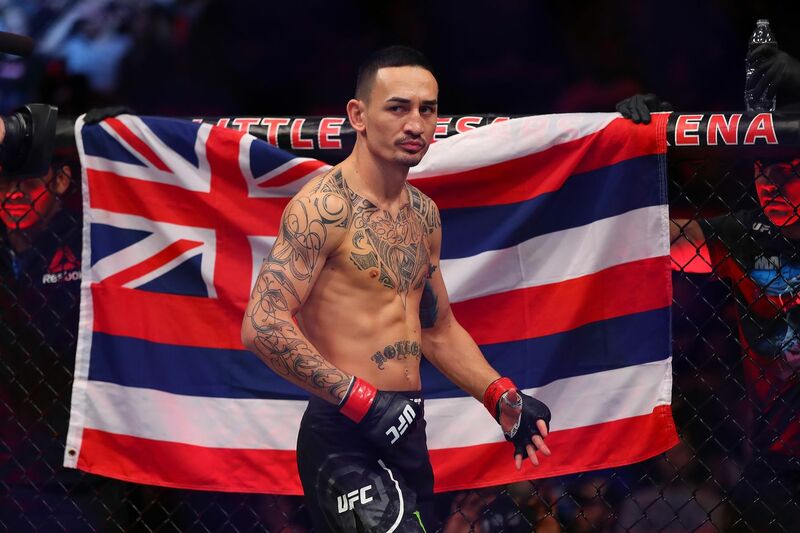 Holloway faces Ortega in the main event of UFC 231 on December 8 in the Scotiabank Arena in Toronto, Canada. This Saturday’s fight card is considerably more intriguing than Friday’s; the main event winner between Junior dos Santos and Tai Tuivasa is a good candidate to face last weekend’s heavyweight winner, Francis Ngannou. Robbie Lawler vs. Ben Askren is going to be a huge moment of truth for Ben. They are treating him like Vikings reportedly treated their toddlers, throwing him in the ocean and expecting him to swim. If Lawler’s sprawl is anything like it was at the height of his Renaissance, Askren could be in for a rude awakening. Hang in there, little Borg. I sincerely hope Rachael Ostovich is in a good enough physical and mental state for her “just fight through it” strategy to work as he gears up to face Paige VanZant after a brutal episode of domestic violence at the (alleged) hands of her MMA fighter husband. Bantamweight is one of the divisions that has a lot of primo talent outside the UFC, and that’s only going to get better now that the UFC flyweights (most of whom can also fight up at bantamweight) have been cast to the four winds. Darrion Caldwell vs. Kyoji Horiguchi would be hot fire, and a great example of cross promotion, or at least fighters being able to fight for different promoters while under contract, benefiting the fans. It’s great that genocidal dictators are getting more influence in the sport of MMA, I can’t see any problems with this whatsoever. Through this merger, Kaydrov’s intention is to consolidate his power and extend his influence over MMA, both domestically and on the world stage. He now has the resources to do just that. For those who thought the dictator would fade from the sport, think again. Tito Ortiz isn’t wrong that the UFC got rich to the tune of 5 billion (once everything was totaled) off the rivalries he, Chuck, and a handful of others forged. But that’s the fight game, and it won’t get better until the fighters learn to bargain collectively, which under the current structure is impossible. Who knows, maybe that anti-trust lawsuit will make it to settlement. It seems unlikely in the current climate. Didn’t Frankie Edgar see Jurassic Park 3? Watch out for the fog. Dustin Poirier and Tony Ferguson should fight for yes, yet another interim belt if Khabib isn’t going to defend promptly. I just want to see them throw down, dammit. Someone is having way too much fun with Artem Lobov’s Wiki page- according to this he fought Demi Lovato for the Clan Wars Lightweight Championship. Good to know regional guys are still pulling crazy stuff off! Suman Mokhtarian fights fellow featherweight standout prospect striker, Sudiq Yusuff, at UFC Fight Night 142 this Saturday. He routinely pulls off arcane submissions you’ve only ever seen a couple times in your life in the cage. Sage wasn’t overpaid. He was one of the few guys on the roster getting paid close to properly. No UFC fighter should be on less than 6 figures per year. The company can afford to pay that easily, and it would allow (most) of those fighters to train full time. 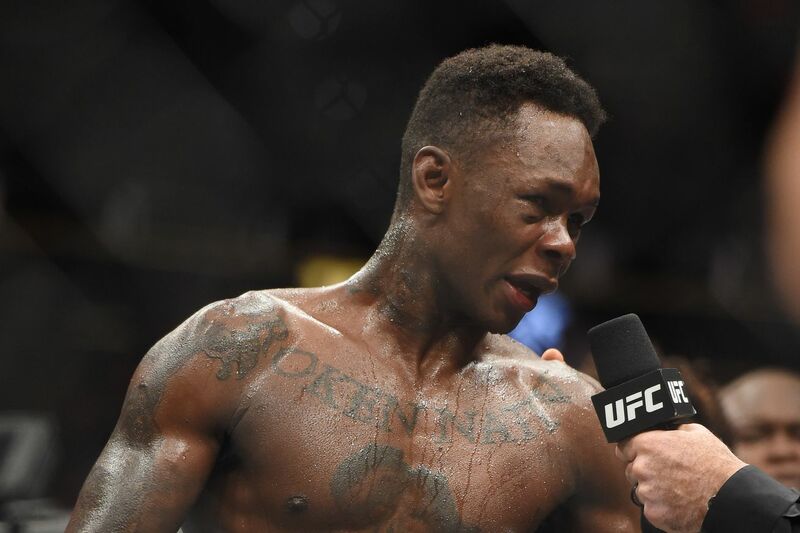 I’m certain if Anderson Silva managed to get a big win over Israel Adesanya that he really would get a title shot. It’s a money fight, and the only other person in line is Jacare, and he lost to both Gastelum and Robert Whittaker relatively recently. It is no surprise that Conor McGregor has been banned from driving for six months. I am a little surprised he hasn’t talked to coach John Kavanagh at all since his loss to Khabib Nurmagomedov. I’m really intrigued by this weekend’s big boxing match between Deontay Wilder and Tyson Fury, and their intense staredown didn’t exactly dampen my interest. It’s pretty funny to me that Jon Jones ever thought Alex Gustafsson was a knockoff version of himself. Gustafsson fights nothing like Jones aside from being tall and keeping up a high pace. It’s been a while since I’ve included podcasts and video, but since there are not one but two UFC events this weekend, what are the top fights to keep an eye on? Andrew Richardson breaks down Kamaru Usman’s rudimentary striking- all the best to Andrew as he recovers from surgery. I also been really enjoying this series from Felix Beiderman and Jon Bois, Fighting In the Age of Loneliness. Some of the links to the broader cultural and political climate seem tenuous — I came to MMA relatively late, so I don’t really have a reference from personal experience — but Felix takes tremendous joy describing the transcendent experience watching early MMA. If you haven’t seen ‘Florida Man Goes to Switzerland’, the latest in the ongoing reality-bending adventures of Florida Man, you have to check it out. This guy holds on to a hang-glider strut for more than two minutes with nothing holding him up but his own iron grip, just dangling hundreds of feet in the air. I’m disappointed that Tony Ferguson went an entire tweet without referring to Conor McGregor as “McNugget.” I mean, he could have at least used the hashtag #SnapCity, but I guess nothing is sacred these days. There was a point earlier this year when Ferguson was the Ultimate Fighting Championship (UFC) interim lightweight champion, waiting for McGregor to defend his 155-pound strap. Fast-forward past UFC 229 and now neither of them can claim gold. Of course you don’t, because that’s stupid and it never happened. Ferguson may get the chance to prove his mettle against the power-punching Irishman as current titleholder, Khabib Nurmagomedov, is expected to earn a mandatory timeout from Nevada State Athletic Commission (NSAC) for his role in the UFC 229 post-fight brawl. If and when that finally happens, let’s just hope the promotion doesn’t create yet another substitute strap. Considering how long “Notorious” was able to hold the division hostage, “The Eagle” should be able to do likewise. Actually, at this point, who even cares about the title, just make good fights. Ultimate Fighting Championship welterweight challenger Colby Covington believes that sometime in the future Irish mega star Conor McGregor will return to the welterweight division and “Chaos” will be ready to greet him when he does. Conor McGregor got tongues wagging earlier this week when he discussed potential future opponents inside the Octagon after his clash with Khabib Nurmagomedov this weekend at UFC 229. One name that stood out from his comments was Brazilian legend and former Ultimate Fighting Championship middleweight champion Anderson Silva.